The Open Stories Foundation (OSF), which is the 501c3 non-profit that owns Mormon Stories Podcast, Mormon Matters Podcast, A Thoughtful Faith Podcast, and Mormon Transitions Podcast, is hiring a Director of Operations. We will be closing the hiring process within the next few days. Please see here for details on the position, and how to apply. 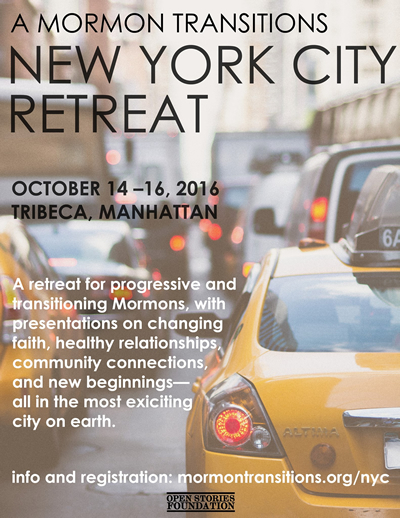 The next Mormon Transitions retreat will be in New York City from October 14-16. We have invited several special guests including: news anchor and reporter, Abby Huntsman, writer and political analyst, Carrie Sheffield,Clark Johnsen from the original Book of Mormon Musical cast, Elna Baker from This American Life, along with Dr. John Dehlin, Natasha Helfer Parker, LCFMT, CST, Dr. Kristy Money, and Dr. Gina Colvin.The primary focus of this retreat is supporting progressive and post-Mormons in their faith transitions. 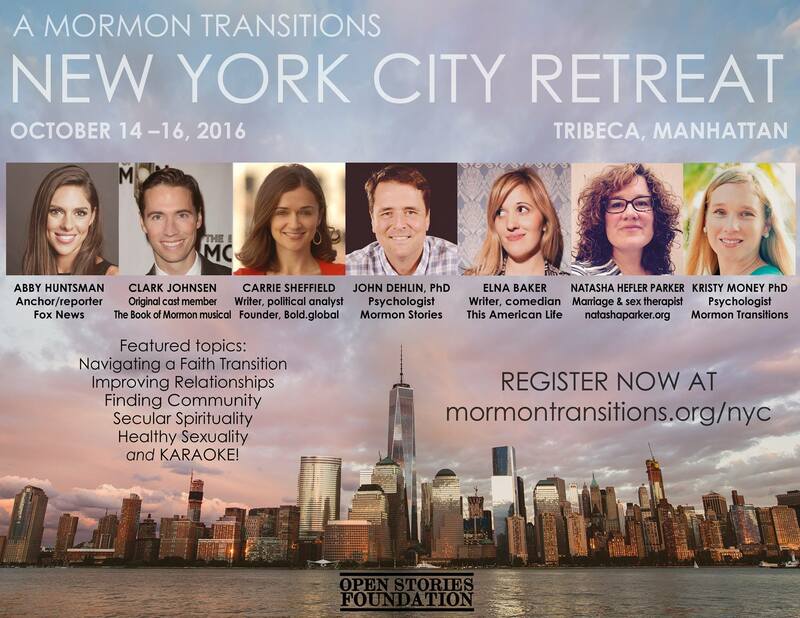 Topics that will be covered at the event include: Navigating a faith transition, How to effectively communicate with believing loved ones, Tips for strengthening your marriage/intimate relationships, Healthy sexuality, Finding secular spirituality after a loss of faith.Click here to register for this event.